* Total number of reviews and star-ratings are based on data collected during the time period Simons Heating and Cooling has been using the ReviewBuzz system and may not directly match the data found on each public review site. Ken C was very helpful in explaining everything he checked and what we were doing right. Very professional. I have been using Simons ever since I bought my house and have never been disappointed. When the owner of a company comes to your house to personally quote a new heating system and then encourages you to look the quote over to ensure you’re getting everything you want, that is a difference maker in my book. We haven’t installed our new system yet, but rest assured we will be relying on the professional of Simons Heating and Cooling when we do. I was looking to replace the AC and furnace in my home. I got three estimates and opinion's on product from three local companies. Simons Heating and Cooling got my business based on price, knowledge of product, and professionalism. 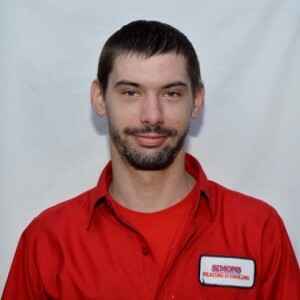 Jason McCormick from Simons Heating and Cooling was my initial contact from this company. He was timely, very informative, educated me on different options that would be ideal for the size of my house, appeared to be someone I could trust. Jason provided me with a typed out estimate for my review. 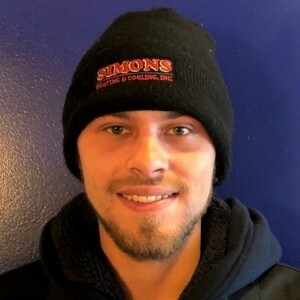 I had Simon's Heating and Cooling install a Lennox two stage furnace and Lennox AC unit in October, 2018. Aaron and Jon were the tech's who did the install. They were timely, professional, patient and kind to my curious children, and most importantly did an amazing install with attention to detail and cleaning up after the job. We have been very pleased over the past several months with our new furnace and look forward to testing our AC unit this summer. I would highly recommend using Simon's Heating And Cooling. We lost our heat at about 10 PM. We called Simons Heating and Cooling at midnight. I had to make a follow up call at 3 AM. The service pro Ken came at 4:30 AM. He had us up and running again at 5:15 AM. Once Ken got here he was great. Very personable and professional. He tested all of our sensors and was able to correct the heat problem. Simons was very helpful in assessing my present water heater and furnace. Their staff is extremely friendly and knowledgeable. Their prices are fair. I felt reassured after our equipment was evaluated. I would recommend. I seriously don't know where to start. I had an emergency call 3 weeks ago, late at night on a Sunday with emergency rates. The immediate furnace issue was fixed after I was out a bit of money. But that's not the important part of my experience. I called this past Wednesday morning because the heat didn't automatically kick on over night and the house was pretty cold. A flip on and off of the thermostat got it going but I decided to call Simon's to come check it out. They said someone would swing by between 3 and 5 pm that day. Don showed up at 3 and was at my house until well after 5. He checked may things from CO2 to Carbon monoxide levels. He found that the person who installed the furnace didn't connect a common wire and my thermostat was likely bad. Don took the time to explain every action he was taking. I had purchased an Ecobee thermostat a couple months earlier and never got around to installing it. Upon hearing that he installed my Ecobee. When he was packing up to leave I asked him about the charge and he replied that it was all free as part of a follow up! He said you're a customer and thats how we work. As great as it was to hear about the no charge, the expertise, friendliness and willingness to explain every step was just as valuable. Don has made us loyal customers of Simon's and we will schedule him to come back in the spring to inspect our AC. Thanks Don! Excellent customer service, knowledgeable and professional service techs. Simons provides Professional Services with their staff. Thank you to Jake P. for his timely arrival, knowledge, and patience for my yearly maintenance. Excellent job! I've used Simons Heating and Cooling for a few years now. They are responsive, friendly, and professional. Matt is the tech I've dealt with most; that said, he gets the job done right the first time and is easy to work with. I highly recommend their service! 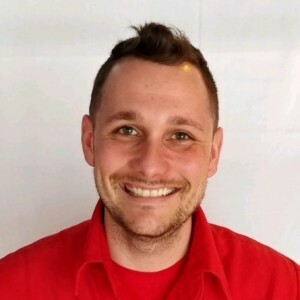 Matt L**** was very helpful with our problems and walked us through the process of buying a new unit, could not have gotten through this process without all his knowledge and thoughtfulness, made it real easy! Staff in the office was also very helpful and friendly. Simons always provides expert courteous service. This company is well-respected...and for a good reason - they care about their customers and take pride in what the do! 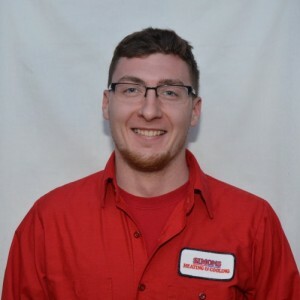 We just had our furnace serviced, the office team member made it easy to schedule an appointment, and the technician, Matthew L., arrived on time, was professional, explained the process, and cleaned up the work area - just an excellent experience all around! Thank you Simons Heating & Cooling! Jake arrived timely, was polite and efficient. Customer service is always a top priority at Simons Heating and Cooling. Our BBB Membership rating is like a badge of honor as we continuously strive to provide the best experience for our clients. 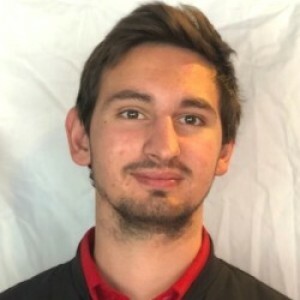 Ken C has a 5-Star rating and leads the company in total reviews, making this pro a ReviewBuzz Rockstar!